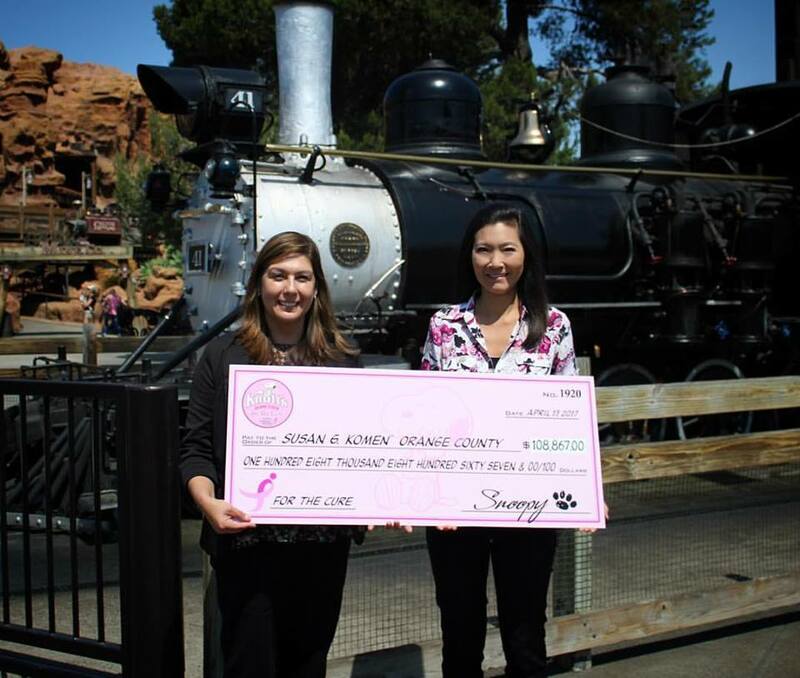 For the fourth consecutive year, Knott’s Berry Farm partnered with Susan G. Komen Orange County to raise funds for breast cancer awareness and services for the local community during Knott’s for the Cure from January 9 to March 5, 2017. In 2017, Knott’s and Komen Orange County raised more than $108,000 through the purchase of “pink” tickets, season passes and select merchandise such as “Pink” Knott’s t-shirts sold in the park. With the cost of a mammogram evaluated at $125, Knott’s for the Cure will benefit more than 800 Orange county residents who are underinsured or underserved! One of the campaign’s highlights was a special event on World Cancer Day (February 4) to honor and celebrate survivors and their families whose lives have been affected by breast cancer. Knott’s and Komen OC organized a #ScreamAgainstBreastCancer Facebook contest for a chance to participate in the event featuring actress Brenda Song from CBS’s “Pure Genius,” who attended in support of her mother currently battling breast cancer. Winners of the contest screamed against all of the challenges and pain but most importantly celebrated their victories and the great triumph of overcoming breast cancer while suspended over 252-feet in the air, at the highest point of Orange County’s tallest free-standing ride, Knott’s Supreme Scream. 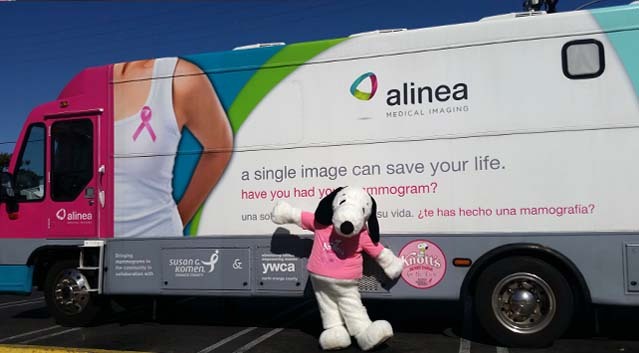 Knott’s Berry Farm also teamed up with Komen Orange County on February 22 to provide free screening mammograms, clinical breast exams and education to Knott’s employees and local uninsured and under-insured women (and men) via the Knott’s sponsored Alinea mobile mammography van. Local women who received free mammograms were also gifted free admission to the park. Additionally, on Valentine’s Day, the Supreme Scream ride, towering over 312-feet in the air, turned pink and glowed for miles in honor of the Knott’s for the Cure program. Supreme Scream along with the famous Calico Mine Ride, shined across the Buena Park skyline each night for the remaining duration of the promotion. Since 2013, the partnership with Komen Orange County has collectively raised close to $500,000 for the organization. Knott’s Berry Farm’s parent company, Cedar Fair Entertainment, has donated nearly $1 million to Susan G. Komen in the last 5 years. The proceeds raised during Knott’s for the Cure help provide underserviced women and men in Orange County with access to breast health care and services. If you have a sister, you know the bond you share with one another is unbreakable. You would do anything for your sister, and she would do anything for you. 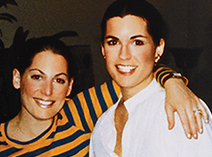 Nancy Brinker, founder of Susan G. Komen, had the privilege of experiencing this sisterly bond. “Growing up, Suzy and I were just about as close as two sisters can get. Suzy was the perfect older sister,” says Nancy. In 1980, Nancy made a promise to her dying sister, Susan, that she would do everything in her power to end breast cancer forever. In 1982, this promise led to her founding Susan G. Komen and a worldwide movement ensued. To date, we’ve invested more than $2.6 billion in innovative research, community health outreach and breast health education programs in more than 30 countries. And we’re teaming up with a special theme park for a third year to mobilize the Orange County community in taking part of this powerful promise. From now until March 18, Susan G. Komen Orange County and Knott’s Berry Farm are joining forces to honor this important promise made between two sisters. New this year, Knott’s is spotlighting the unique bond shared between two sisters with a special “For the Cure” display featuring sisters who have endured the unimaginable: a breast cancer diagnosis. 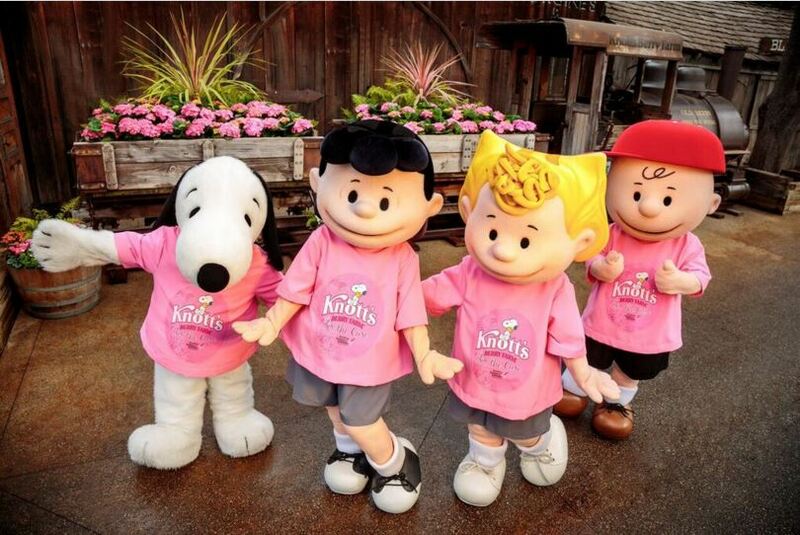 Knott’s also will be offering a special “Pink Ticket” and limited edition “pink” t-shirt to raise vital funds for breast cancer awareness, services and research. We are so lucky to have community partners like Knott’s who help fight breast cancer in Orange County and look forward to a great start to our 25th Anniversary as an affiliate. For more information and to get involved, visit: knotts.com/promise.